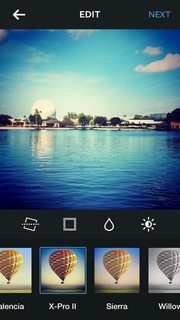 What is the design process for creating camera filters in Photoshop (like in Instagram for example), and then exporting them for use on a iOS/Android app? I can use Curves to create an adjustment layer, and export the .acv for the developers to use on IOS. But I want to know if there is another way, or a more "correct" way to create the Instagram like filters. There are so many apps using filters of different natures, so there must be a way for a designer to create and calibrate things and then give those values or .acv's to the developers. This question is a bit misinformed. Or possibly misspelled? Photoshop manipulates pixels, does not make programs for manipulating pixels. You could, however, preview your filter in Photoshop. Photoshop does not have any way of exporting the filter tough, just the result of those filters. At the and of the day your much more likely to get forward if you just write a fronted to software like Imagemagick instead. Not the answer you're looking for? Browse other questions tagged adobe-photoshop export ios filter or ask your own question. Is it acceptable to make a Windows Phone 8 app that looks like an iOS app?